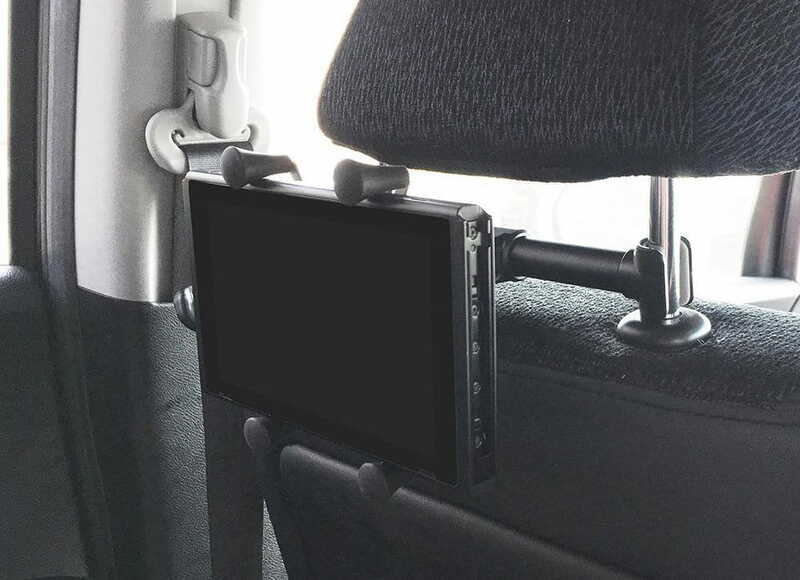 Cyber Gadget has announced that you will soon be able to use a car mount to attach your Nintendo Switch to a head rest, just like what we saw when we caught our first look at the portable home console in action. This will let those sat in the back be able to more easily enjoy playing on Nintendo Switch while travelling, with the promise that rubber parts have been used to protect the console from any scratches when it is attached. It can be attached to headrest struts between 125mm – 155mm and up to a 14mm diameter, which, the manufacturer hopes, will make it suitable for most cars. The mount can be rotated in 360 degrees, but it is not advised to play the console vertically as it has not been designed to support that weight for long. Cyber Gadget has been busy making Nintendo Switch acccessories since the portable home console’s launch, whether that be a compact stand, Dock extension attachment, car charger, USB LAN adapter, cleaning cloth, silicon grip covers, cases, earphones, and even a pair of gaming glasses that cut out the blue light. The car mount will release in Japan on June 30th priced at 1,944 yen (£13.50), and is now available to pre-order on Amazon Japan. i’ve been using a $15 iPad carmount for my switch for over a year, this just seems like it’s being marketed to gamers as a “gaming product” to squeeze out a few extra bucks. These have been around since before the Switch. They’re a dime a dozen on amazon.